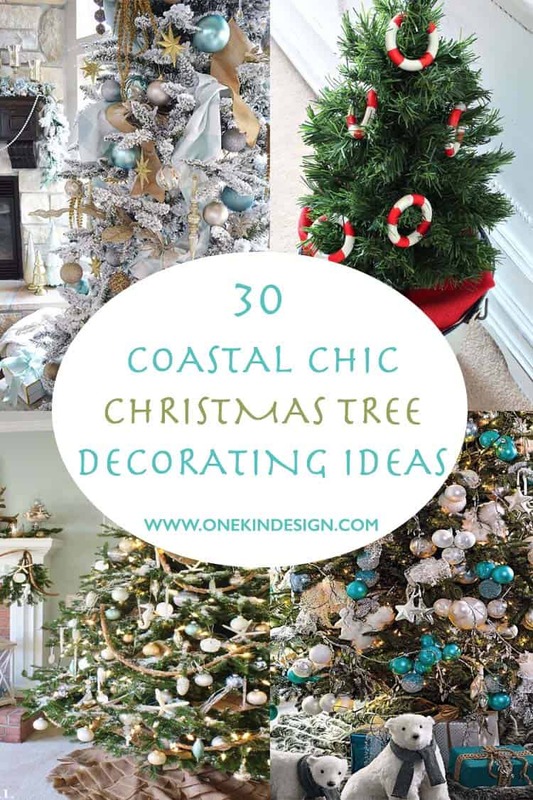 Decorating your home this Christmas season with coastal inspired decor is not your typical holiday style, but is super stylish and a fun alternative. 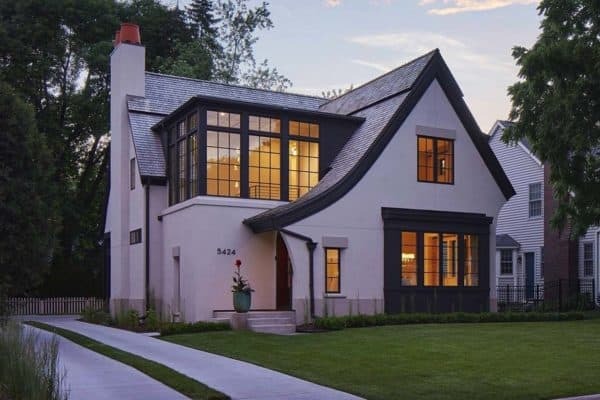 You don’t necessarily have to live in a beach home to decorate in this style. There are plenty of excellent selections to make your tree shine. 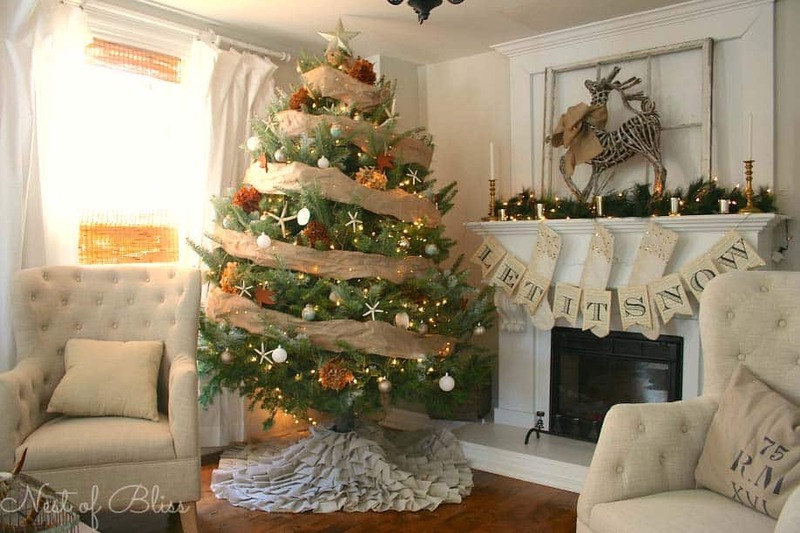 Whether you select a fresh tree or an artificial one, either way it will look fabulous. When you think nautical decor, you think surf and sand and plenty of sunshine as your inspiration. There are plenty of ornaments you can select from to decorate your tree branches. Such items includes: starfish, shells, sand dollars, burlap, ribbon, glass and mercury ornaments, sea horses and garland. 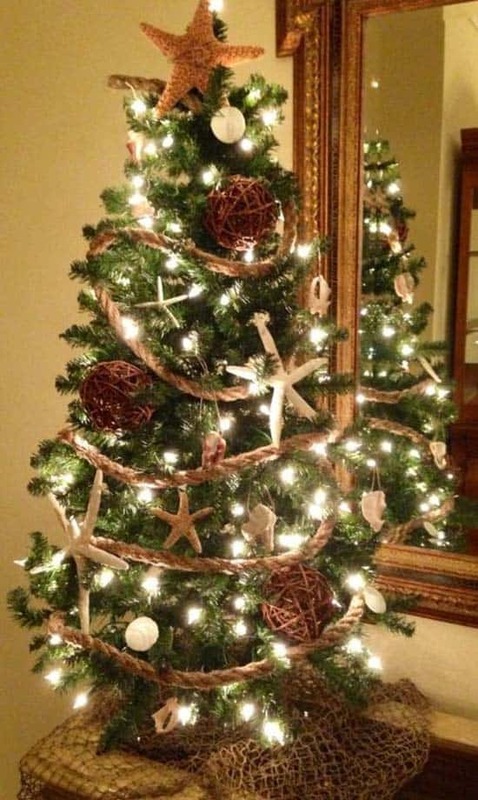 If you don’t have space for a tree, you can get creative and make one out of driftwood. You can find a small tabletop tree and hot glue shells onto it or small ornaments. Don’t forget the string lights! 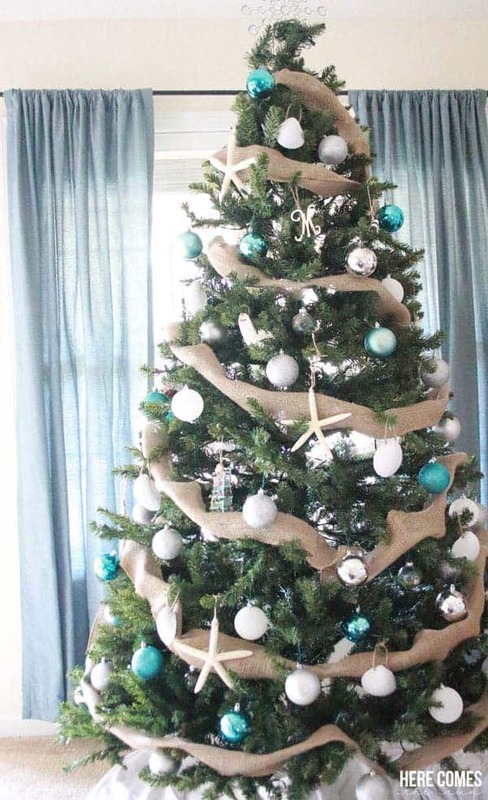 We have plenty of ideas to change up your theme this holiday season and make your tree go coastal! Want More Christmas Inspiration? 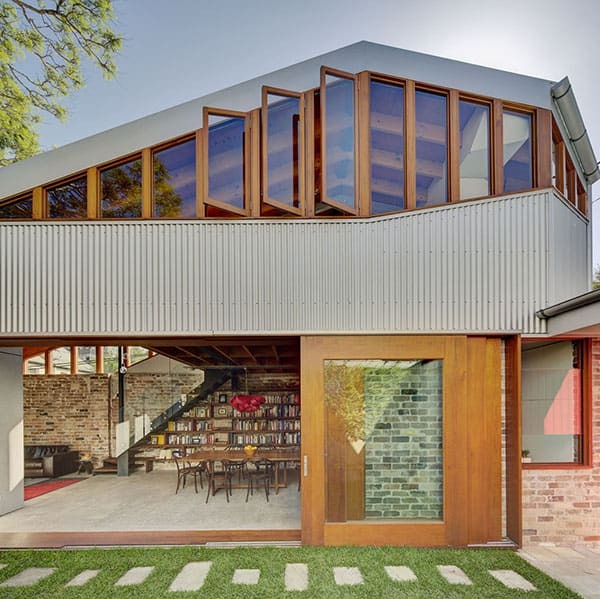 Take a Look at One Kindesign’s Christmas Inspiration Category. 1. 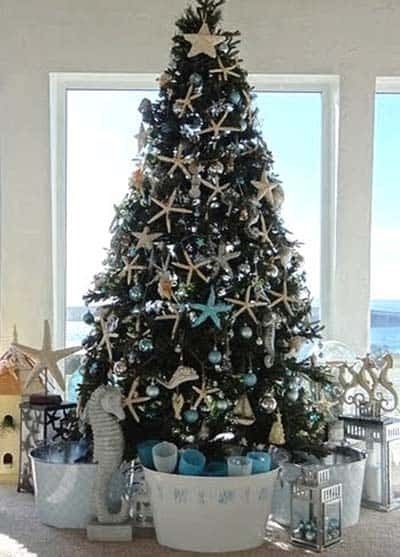 A coastal Christmas tree gets adorned with starfish and sand dollar ornaments, beautiful glass ornaments in blues and whites, shell ornaments and seaside garland. These all can be purchased from here. 2. 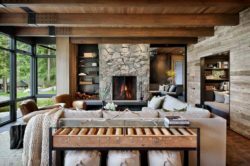 This designer used an artificial deluxe Barcana Alaskan Fir to decorate her home for Christmas. 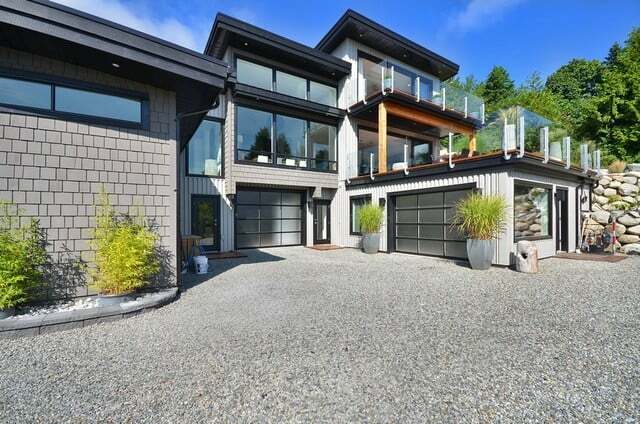 The theme was West Coast Seaside Chic. Her inspiration began with her handmade rhinestone studded pencil starfish and Hobnail blown glass seahorse ornaments. She also embellished with small mercury glass balls, pearl mercury glass teardrops and large shell ball ornaments. 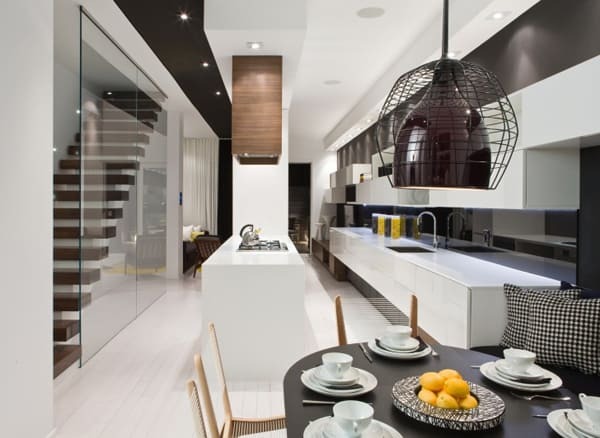 Get more details on the decor used here. 3. 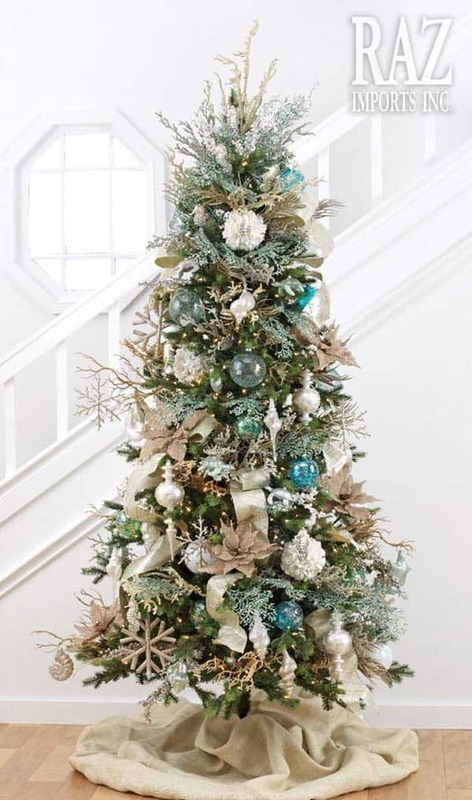 A tree drenched with faux fir branches is adorned with coastal-inspired hues and glitzy gold elements. 4. 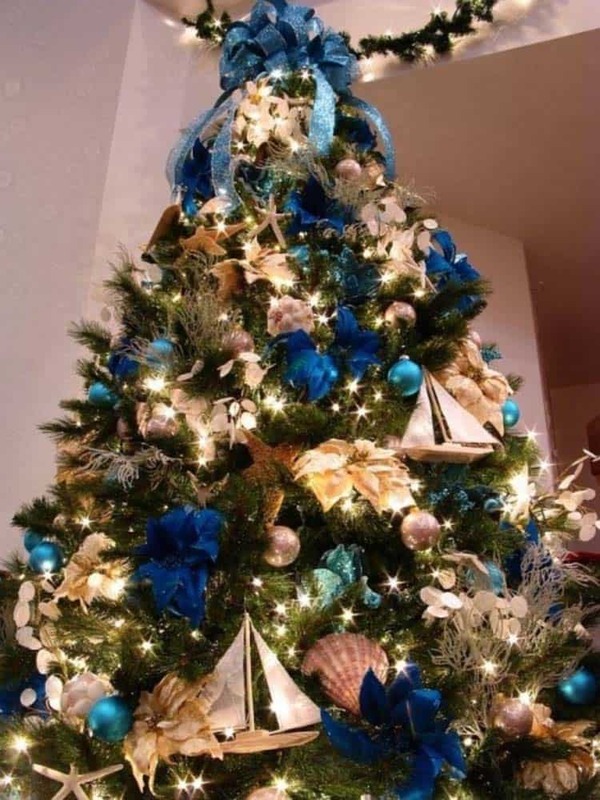 Beach Sea Christmas Tree. 6. Nautical Noel decorations courtesy of Kirklands. 7. 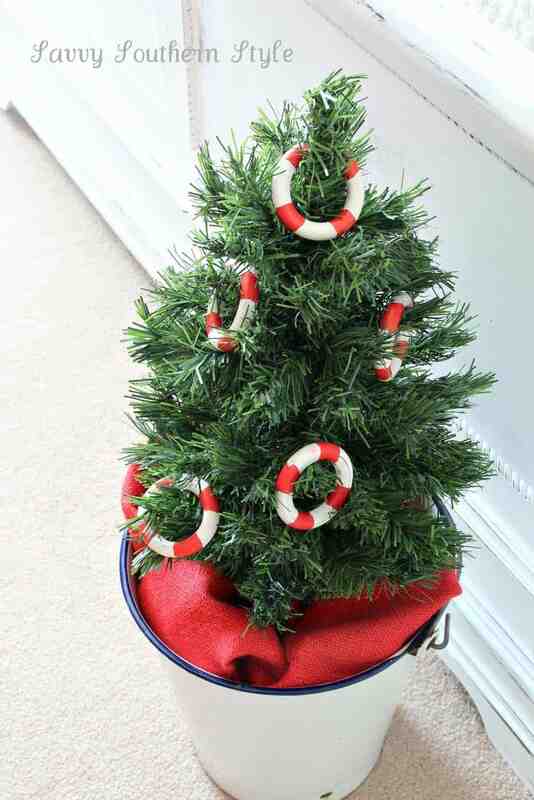 Decorate your nautical Christmas tree by wrapping a rope garland around it. 8. Have some fun with your Christmas tree topper by adding a whale! 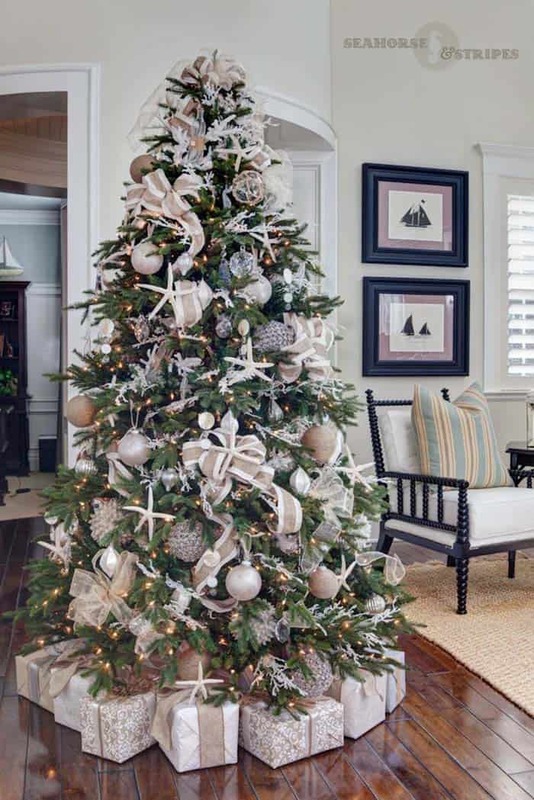 This one adds a playful, chic touch to a coastal-inspired tree. 9. 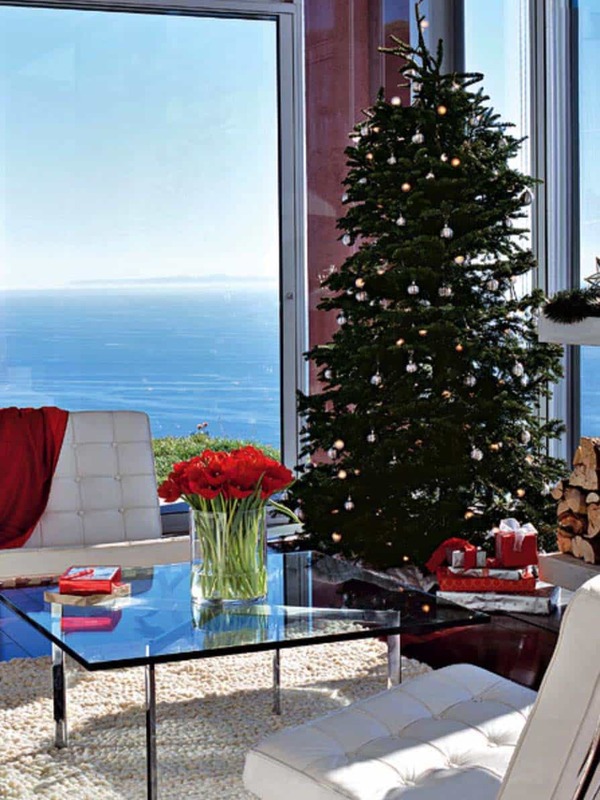 Christmas by the sea is the theme for this Christmas tree placed in a cottage overlooking the Pacific Ocean. 10. 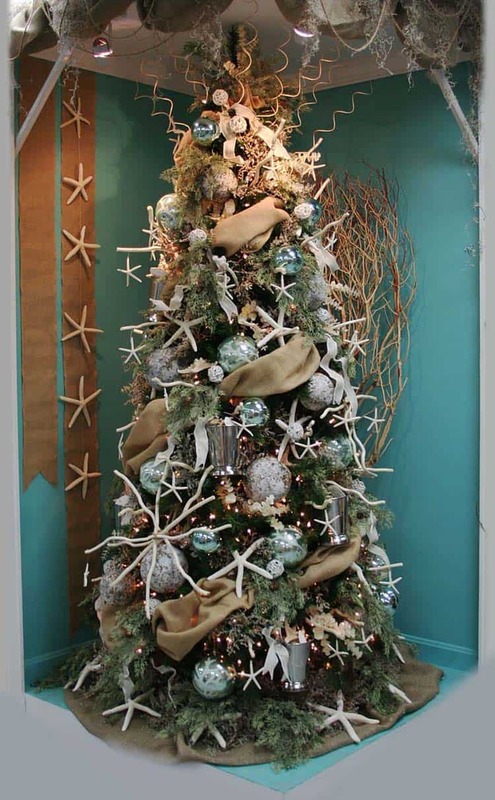 An artificial white Christmas trees gets spruced up with nautical hues, starfish and blue ribbon. 12. 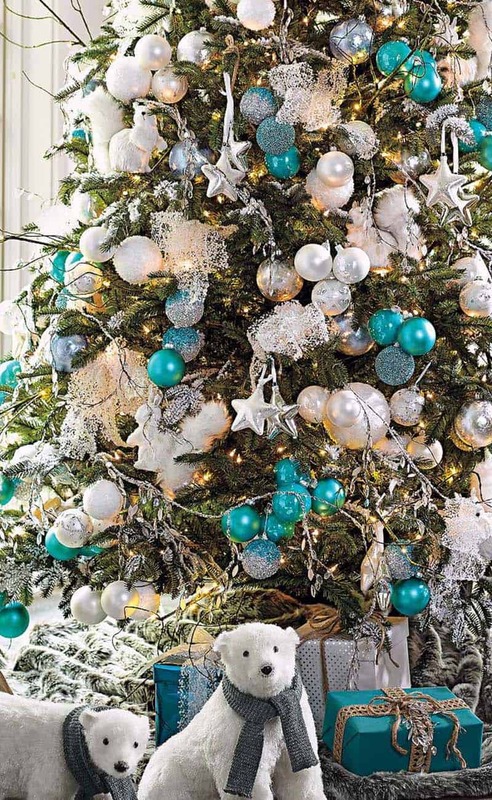 Blue, silver and white balls decorate this nautical tree, mixed with seashells, starfish, oyster shells and seaglass ornaments. Burlap was used for the garland. 13. 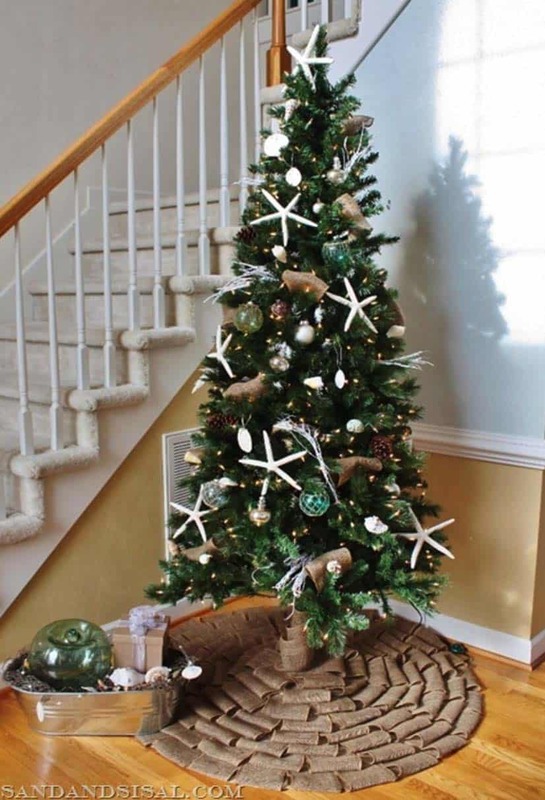 This handcrafted coastal holiday tree can be used to decorate indoors or out. 14. 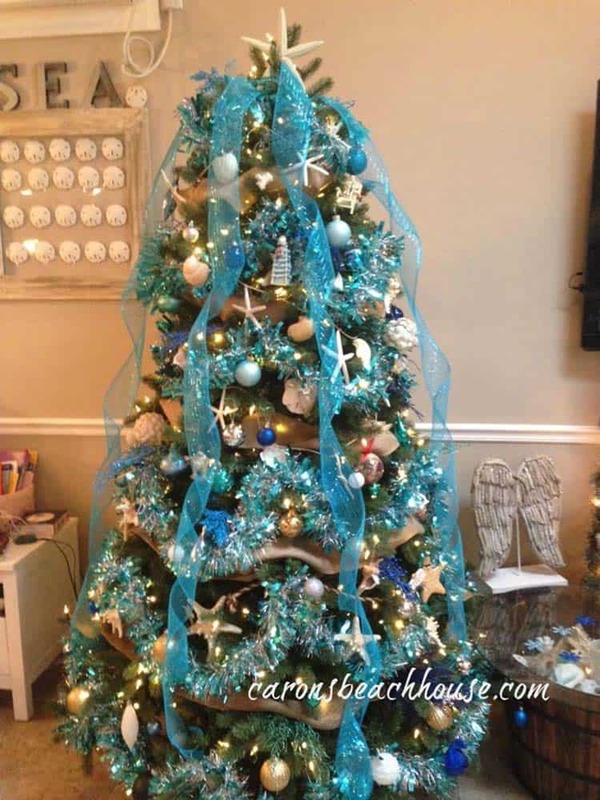 Christmas tree decked out with turquoise and white iced ornaments reflecting the sea. The tree and ornaments were sourced from Grandin Road. 15. 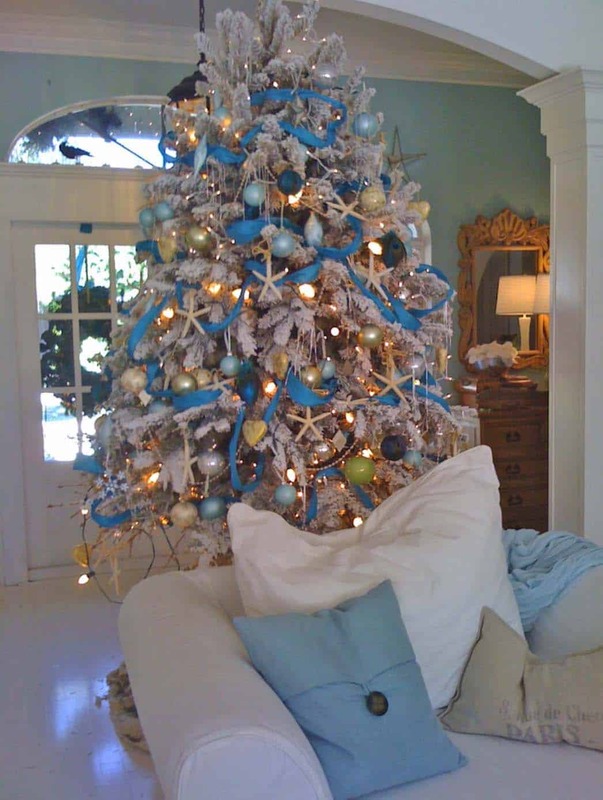 Sea shells, starfish, blue ornaments, navy faux flowers, a sailboat and a shiny blue ribbon topper makes this tree shine. 16. 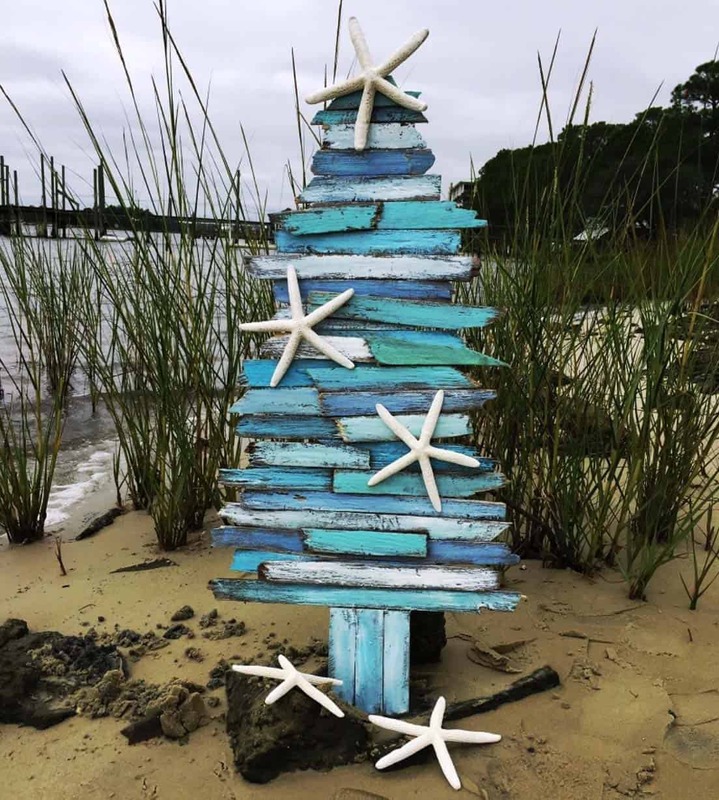 This coastal Christmas tree features finger starfish, shells, burlap loops, capiz, coral, and DIY glass float ornaments—get the tutorial here. 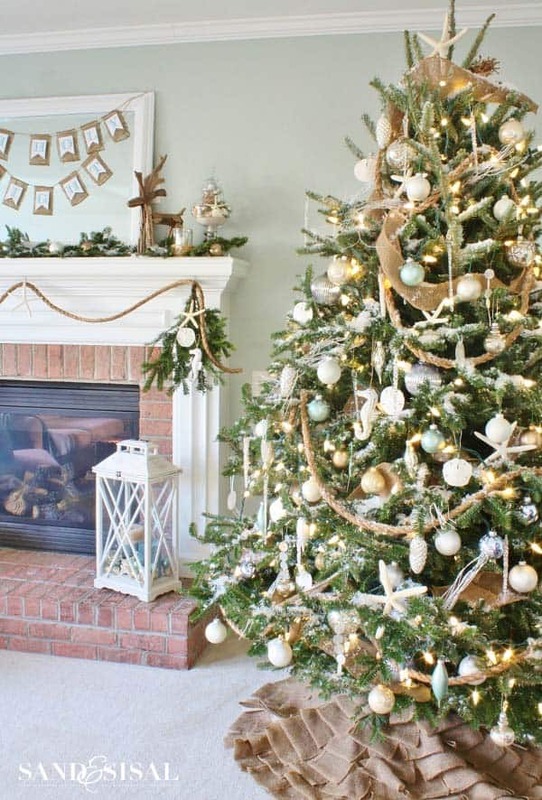 Adding some extra sparkle to the tree, this blogger dotted it with mercury glass and frosty white glass ornaments. 17. 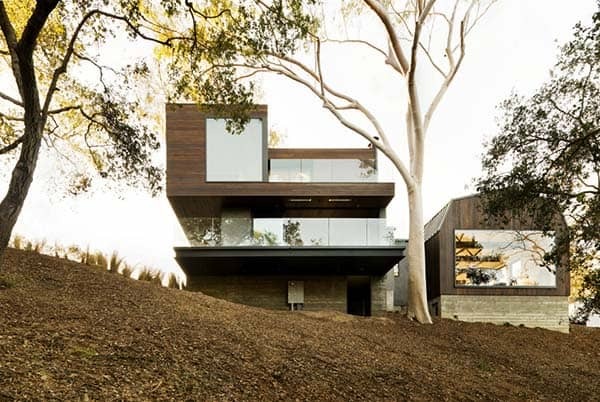 A coastal theme of silver and gold ornaments decorates this tree, further complimenting the clean lines of this posh California pad. 18. 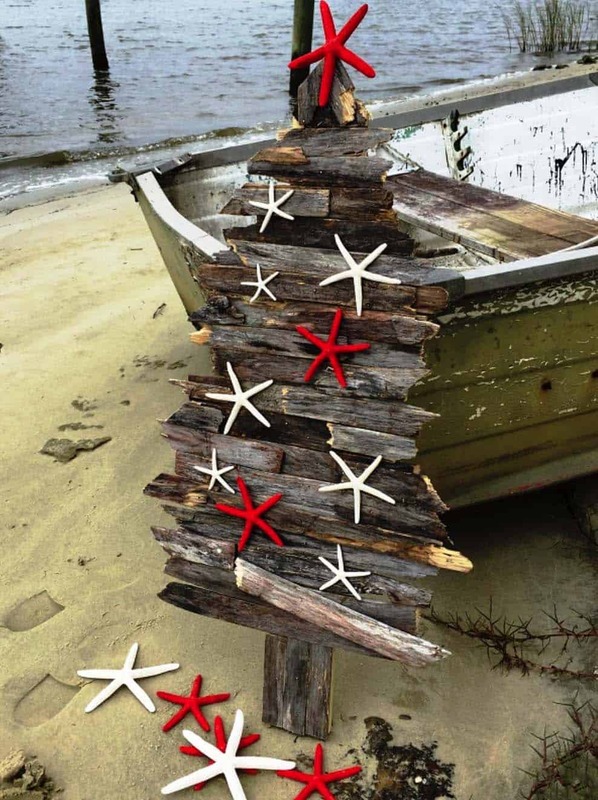 Handcrafted coastal holiday tree-north pole. 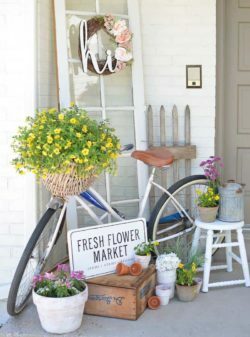 This is perfect if you live in a condo or apartment and do not have a lot of space to decorate… or if you just want something simple! 19. 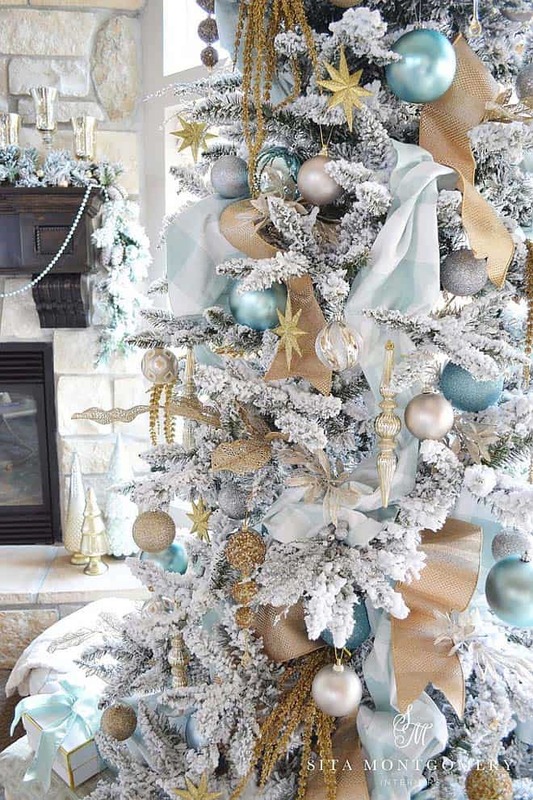 Blue ribbons and tinsel creates a sparkling effect, complete with gold, white and blue shiny ornaments. 20. 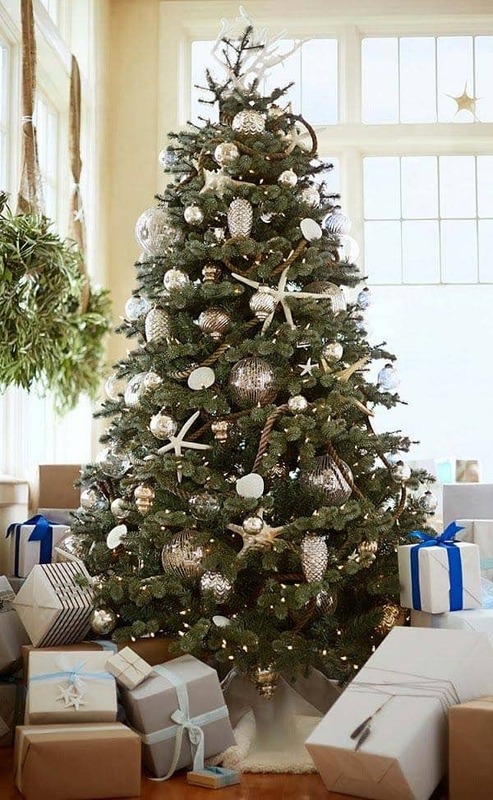 Deck your nautical-inspired Christmas tree with starfish and mercury glass ornaments. 21. 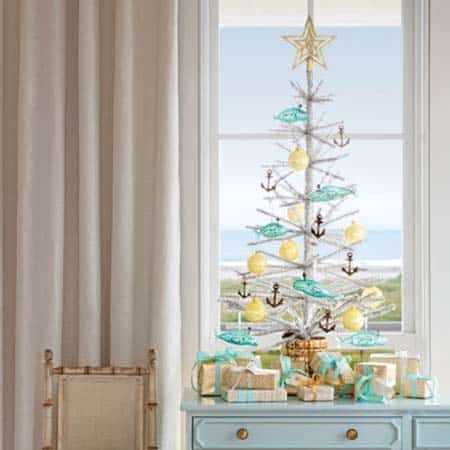 A small tree in a Christmas decorated bedroom gets some nautical flair. A little DIY turns curtain rings into a beacy look with some painted red stripes. Get the full bedroom tour here. 22. Interior designer Greta Fox decorated her seaside home in Mattapoisett, Massachusetts for the holidays. This coastal inspired living room features a tree adorned with mercury glass to reflect light from the tree and candles. 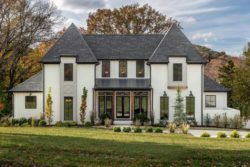 She prefers to place trees near a window, not only does it reflect light, but creates a “wow” impact when the lights go down. 23. A white tinsel tree is set into a vase, easy to decorate in your home anywhere! Adorn the tree with gold ornaments and blue whales. Bronze anchors are dotted all over for additional nautical fun. A star topper completes the look. 24. 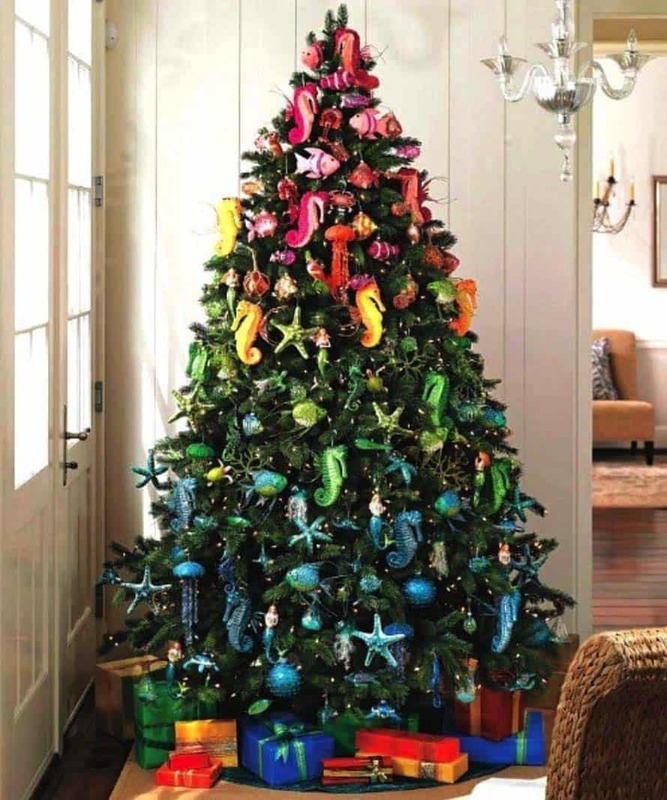 This colorful tree has a rainbow affect… with lots of sea-inspired decorations! 25. 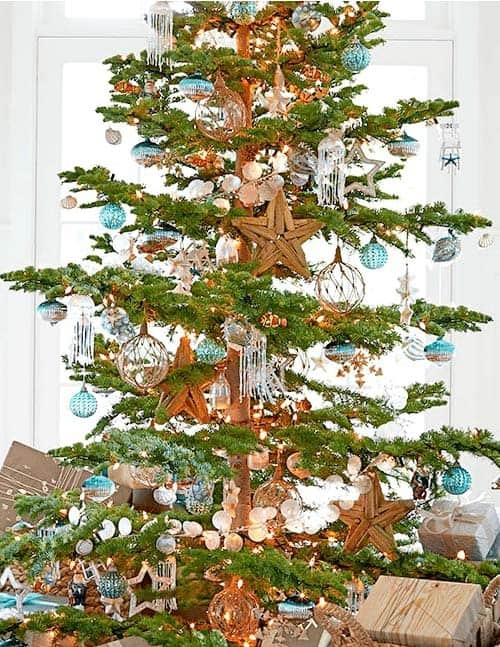 A small redwood was decorated with starfish and varying shades of blue and white ornaments. All the decorations reflect the natural colors of the sea. 26. 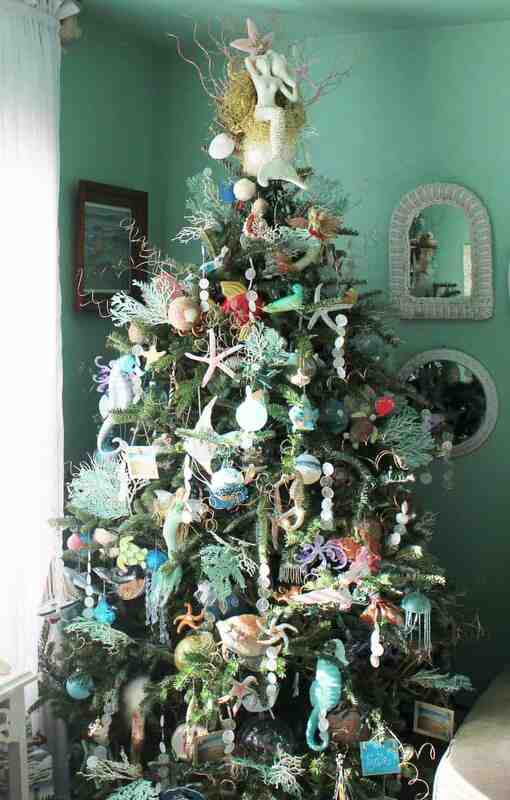 Sea creatures galore decorate this playful Christmas tree. 27. 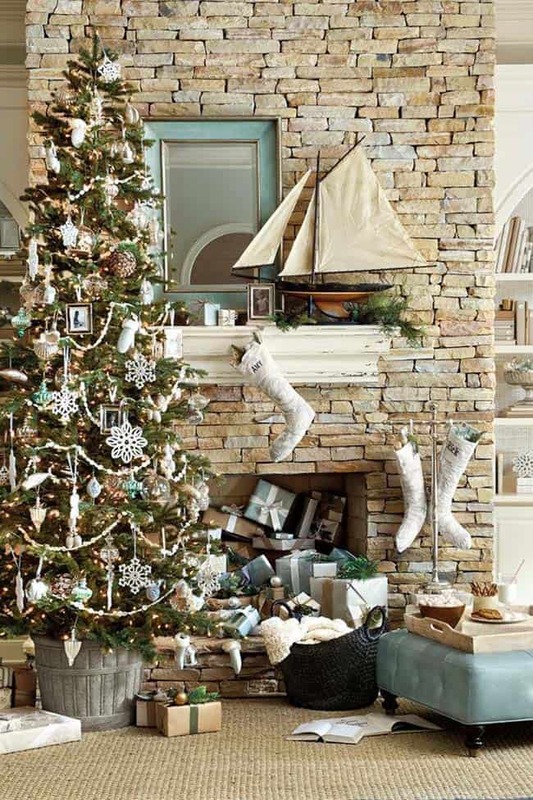 A cozy living room with presents filling the fireplace and blue and white nautical elements adorning the tree. 28. 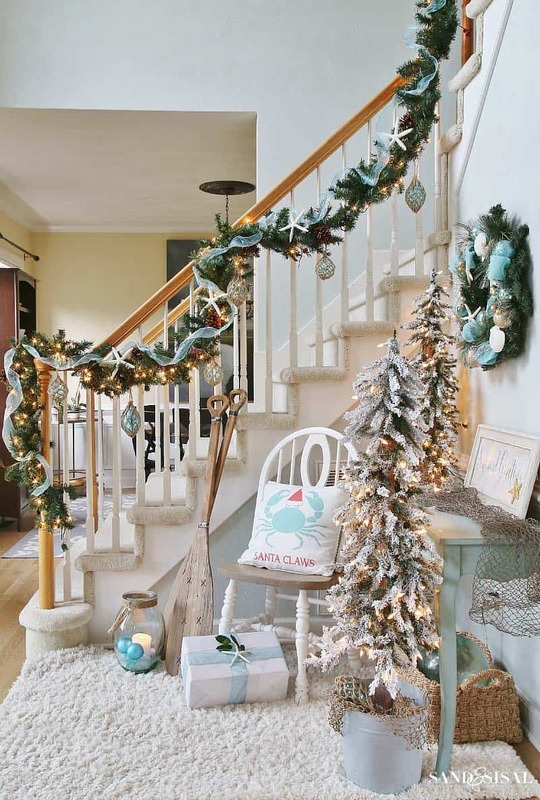 A living room inspires with nautical decor of starfish and brightly colored blue ornaments. 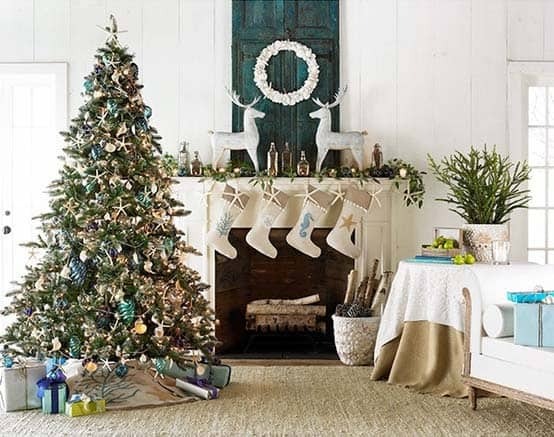 Even the stockings over the mantel reflect a coastal feel. 29. 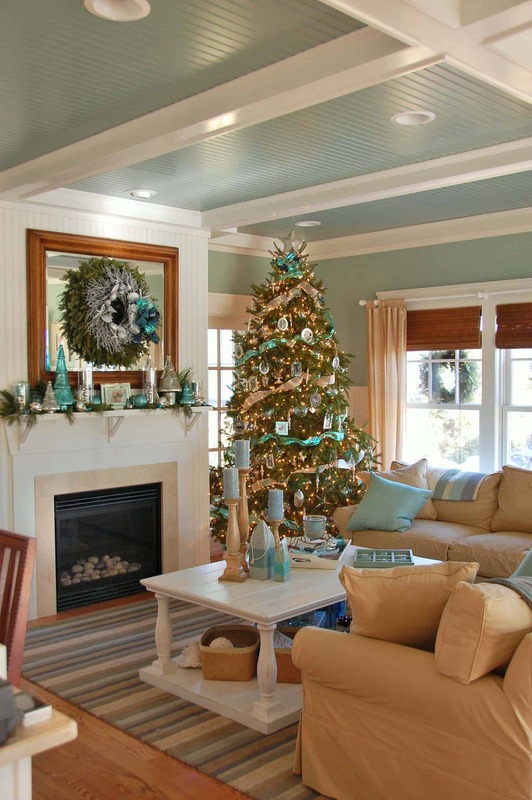 A living room gets decorated for the holidays with coastal decor that is bright and cheerful. 30. 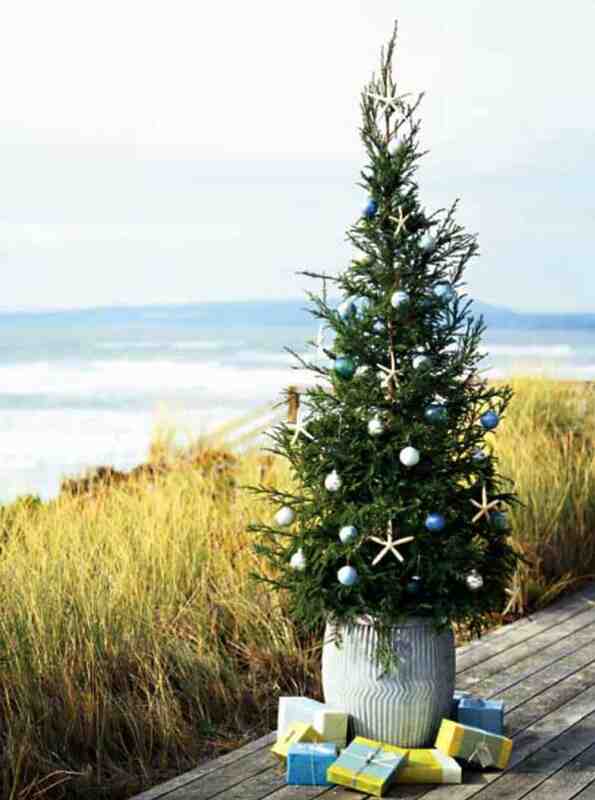 A nautical themed Christmas tree adorns a deck overlooking the sea.